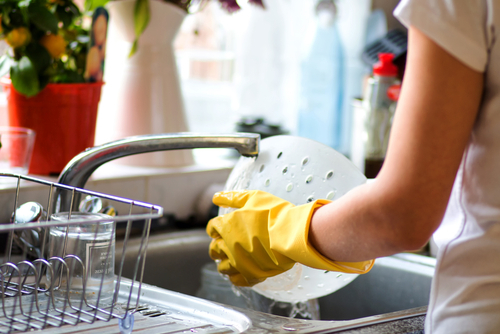 To keep your HDB houses clean and tidy all the time, spring cleaning is quite essential. This wil help you to remove all the dusts, grime and dirt from each and every nook and corner of your house. This deep cleaning will thus keep your house free from moulds, allergens, germs and bacteria which can cause deadly diseases and infections. If you are living in a region which is very hot and humid, then you have to pay special attention for the mould and mildew growth. 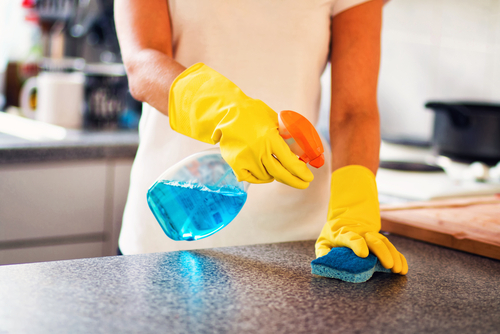 Spring or deep cleaning can be quite challenging for the people with a busy life. But there are some effective tips which can help you to have a sparkling clean and very tidy home free of germs and allergens throughout the year. It is important to have a proper plan for spring cleaning your home because it is more than regular mopping and dusting. Therefore a plan can be quite helpful for thorough cleaning. Also, you will get an idea about the equipment, tools and supplies that you need to ensure thorough cleaning. It is also important to schedule a date for this when you will start cleaning your home. Make sure it is a weekend and there is no other plan as this may take several hours to clean. Thus, making a complete plan will help you to execute the entire cleaning chore seamlessly and efficiently. It is very important to clean each and every part of your house. But it can be quite confusing and can get clumsier if you start cleaning the entire house at a time. So, you must start cleaning the house in sections. This way, you will be able to focus on a particular area at a time and clean it thoroughly. Once that section is done, move to the next section. Thus, the entire work will be divided into several sections. You can get the rooms organized in no time and at the end you will get the desired result. When you are cleaning your HDB, always spend some time to de-clutter all the mess around you. There are many things around the house which are either not in the right place or not at all essential. So, first throw away stuffs that are not essential to you and then keep the other stuffs at their right place. De-cluttering can be quite stressful and hectic but once you are done with that, you will realize that half of your work is done. Things appeared to be more organized and tidier. In any hot and humid climatic regions, one of the most challenging problems in house cleaning is the mould growth. These moulds can be quite harmful for your family’s health and wellness. They can cause infections and allergies. You first have to inspect every inch of your home to know the areas of mould growth. Once you have found out the places, you have to take action. With the proper tools and equipment, you will be able to scrape out the moulds from each and every corner. It is important to vacuum the entire carpet and upholsteries thoroughly for spring cleaning. These are the two places where the dusts, allergens and dirt reside more than any other places. Thus, it is important to ensure that carpets and upholsteries are properly cleaned. First, use a brush to clean the carpets. If there is any hair strands or pet dander stuck in the carpet, they will come out. For the fine dusts and dirt, vacuuming it is the best option. When you are cleaning the furniture and carpets of your HDB, you will notice many stains. All these stains can be quite stubborn. To get rid of these stains, use a natural home remedy like lemon juice. If not, then use any organic cleanser to get rid of the stains. Make sure to be gentle while removing the stains. Otherwise it can damage the fibres of your carpets or upholsteries. Dusting not only means cleaning the surfaces. When it comes to spring cleaning, dusting has to be deeper. You must clean each and every corner of the house. Starting from every single accessories and books to the furniture, you have dust everything. Use dusting for the chandeliers and fans too. Often we overlook the fans and chandeliers as they are out of our general reach. But make sure to properly clean them along with other furniture pieces, windows and doors. Cleaning bathroom and kitchen can be quite tough and challenging. 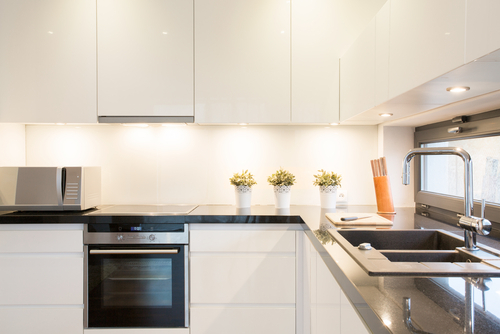 You must ensure that every corner of your kitchen is properly cleaned with no grease and dust residues. Also, you need to clean the bathroom properly as infections and allergies can start from there. Make sure that there is no mould or dust around the bathroom or kitchen. It is quite evident that spring cleaning is quite challenging and difficult, especially if you have a very busy life. But deep cleaning is essential to ensure that every part of your house is properly cleaned. Without that, chances of infections, diseases and allergies can increase to a great extent. To make it easier for you, call a professional cleaning service that is experienced and reliable. With the help of that cleaning service, you will be able to get a super clean house without having a lot of work to do. Deep cleaning your HDB can be hectic and stressful. But you can have a complete peace of mind if a professional service is taking complete care of the cleaning. Also, it is not easy for you to inspect the mould growth and clean it thoroughly from every corner of the house. Your house needs deep cleaning every once in a while to ensure there is no harmful germ or allergen around your house.